Rob has been fishing Lake Michigan for over 30 years. He started fishing with his dad and two uncles in the mid 80s, after they started in the late 70s. He started out on a trailered boat and fished mostly out of Burnham Harbor, Chicago. In 2000 he upgraded to a 25’ Sportcraft named the “Gypsy Dancer” in Diversey Harbor, Chicago. 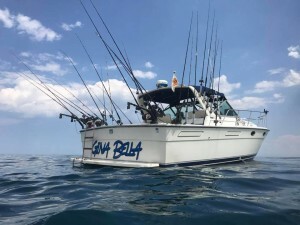 In 2016 he upgraded once again to a Tiara 3100 named “Gina Bella” which he currently fishes off of out of Diversey Harbor. Rob is not a charter captain but rather an extremely avid local fisherman. He spends as much time on the water, if not more than any charter in the Chicagoland area. He spends most trips passing on his knowledge to his family and friends. 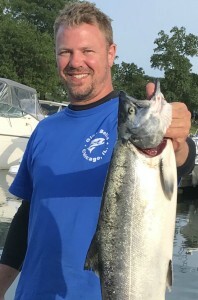 He is very well respected by both local anglers and charters as well.